Teotihuacan travel tips will prove essential for individuals who want to explore the ruins of an ancient city just 50 km outside Mexico City. Teotihuacan makes for a perfect one day visit as it is close to Mexico City. 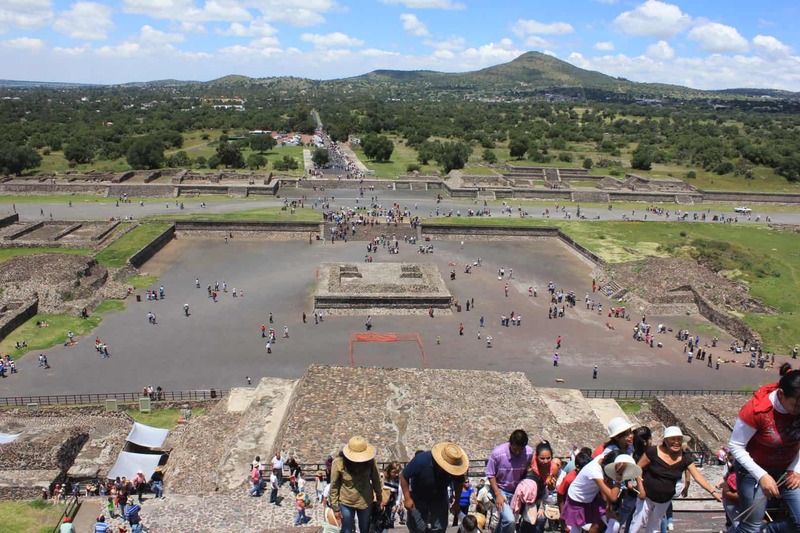 If you’re a first time visitor, Teotihuacan travel tips will come quite handy for you. Knowing these tips, you will be able to wander around the place well. Also, your money will be put to good use. Mexico has a substantial history to its credit. One such destination in Mexico which evokes a sentiment of awe and a sense of curiosity in everybody is Teotihuacan and its pyramids. Teotihuacan as a place is more than just the pyramids. This is because its history comprises many narratives about the prosperous lives of its people and its subsequent decline like all great civilizations around the world. The Pyramids of the Sun and the Moon are the central attraction at Teotihuacan. The sight of a pyramidal structure in Latin America in a landscape apart from the deserts of Egypt is definitely intriguing. 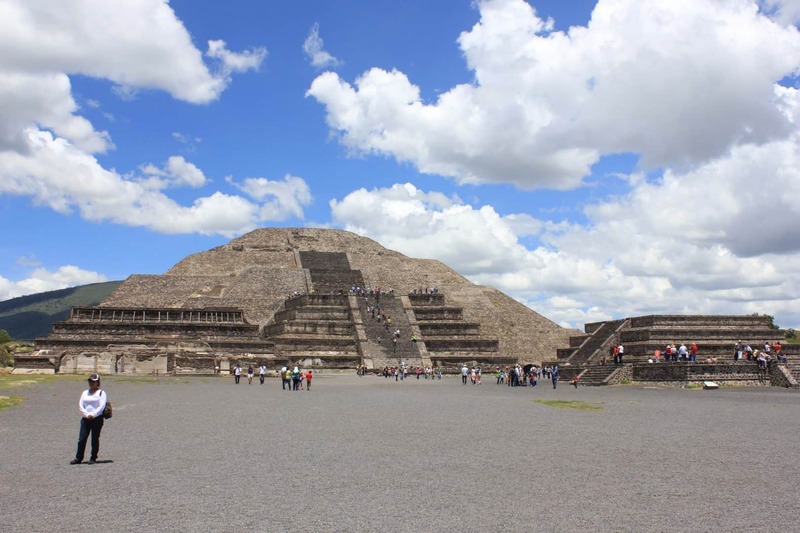 In my current blog, I will be elaborating on a number of Teotihuacan Travel Tips. They will not only assist individuals who are curious explorers and nomads but also cover all areas that suit the needs of first-time travellers. A hat, comfortable footwear, lots of water, sunglasses and sunscreen. Reaching Teotihuacan is very easy as there are a lot of buses plying from Mexico City. The bus ride is very cheap. A round trip will cost you only 104 pesos per person. Take the metro in Mexico City to reach the Terminal Central del Norte station. Get out of the metro station and the Autobuses del Norte station is right across the street. At the bus station, walk towards Puerta 8 (Gate 8). You will easily find display boards for Teotihuacan. The boards will say ‘Pyramides’ or ‘Zona Arqueologico’. Buy a ticket at the ticket window and board the bus. The journey is one hour long depending on the traffic. Once you reach Teotihuacan you will be dropped near Puerta 1 at the bus station. The entrance to Teotihuacan is at a walking distance and everybody is heading in that direction. There are a lot of signboards too so there is no chance of losing yourself in this place. When you’re done exploring Teotihuacan, exit the ruins at Puerta 2 (Gate 2) and walk through the parking lot to the main road (pickup is also available at Gate 3). The bus will pick you up at that main intersection, on the far side of the road. You shouldn’t have to wait more than 20 minutes. The site closes at 5 pm but buses will continue to ply until 6 pm. You will be dropped at Autobuses del Norte station in Mexico City. Reach in time and explore the beauty of this fascinating place. by Supriya A.N. Even though Teotihuacan has visitors all year round, It is recommended that you pay a visit to this lovely site during the months of January, February, March, April and May. 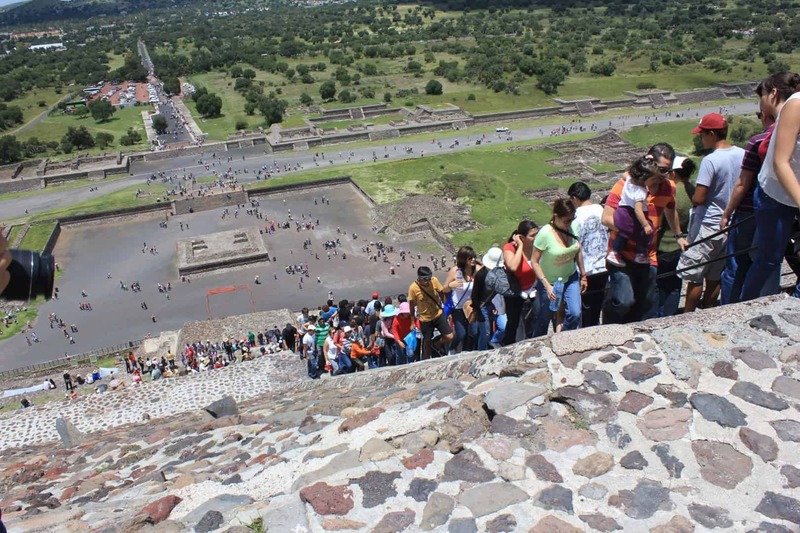 Teotihuacan receives maximum visitors during this time of the year. However, if you wish to visit here at any other time, sure go ahead. The temperature doesn’t vary much throughout the year. Hence you can expect pleasant weather all the time. There are chances of rain in Teotihuacan during August. Now, this is the least visited month. It might not rain every day because I visited this site in August and there was no hint to rain at all. In fact, it was a bright sunny day and slightly hot. But even then carry a raincoat or an umbrella since there is no shade for cover in Teotihuacan at all. Try to go early so that you enter the premises at 9 am. Climb the Pyramid of the Sun first and explore the rest of the area at your convenience. Going as soon as 9 am is worth it to escape the scorching sun during mid-day. Teotihuacan is a vast complex and its layout comprises of a number of sites. Therefore, visit this monument in stages to not miss out on anything important. The Avenue of the Dead is 40 meters wide and 4 km long. The entrance is perpendicular to the stretch of this avenue and from where you enter, it is 2.5 km long to the left. The horizontal road is the Avenue of the Dead leading to Pyramid of the Moon. Photography by Supriya A.N. The first thing that you will find on the Avenue of the Dead is La Ciudadela. It is a large square courtyard with high walls where religious activities where conducted. It is so large that it could hold most of the city’s inhabitants within these walls during ceremonies. In the centre but at the far end of the Ciudadela is the famous Temple of the Feathered Serpent. It is also a pyramid with six levels. The outer edges of the pyramid are decorated with carved heads of a feathered serpent on all the four sides. These serpent heads represent the Aztec god, Quetzalcoatl. In the 1980s, mass burial graves were discovered underneath the temple. Around 130 skeletal remains, probably of soldiers belonging to enemies were found with their hands tied behind them. This clearly indicates that the act of sacrificing people to impress the god existed when the city of Teotihuacan was at its glory. In the year 2003, a sinkhole appeared at the foot of the temple after heavy rains. Archaeologists of Mexico’s National Institute of Anthropology and History over the next six years dug tunnels to find a rich array of objects like seashells, pottery, wooden masks inlaid with gems and jewellery. These are not open to visitors of course but these historic details are best described and shown around by a guide. Temple of the Feathered Serpent. Photography by Supriya A.N. After the Temple of the Feathered Serpent, visit the Pyramid of the Sun. You have to walk at least a kilometre in the open area to reach the base of the pyramid. Pyramid of the Sun is the third largest pyramid in the world. 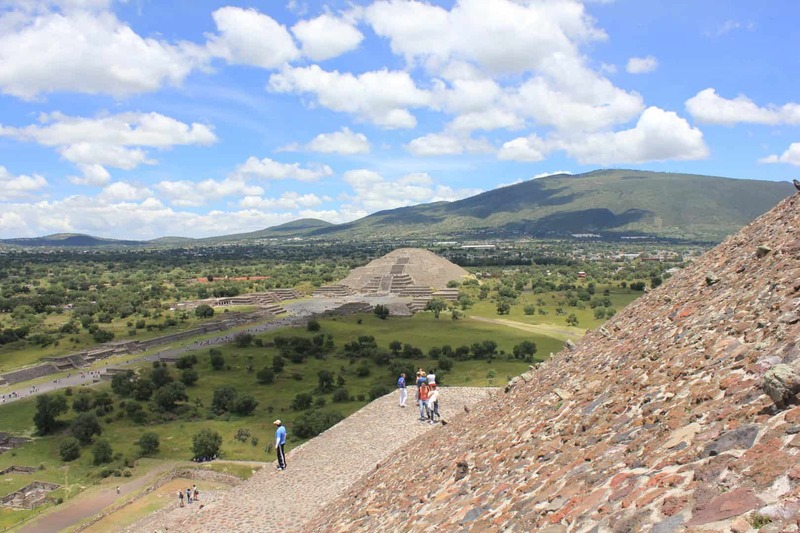 Climb all the way up to the top for panoramic views of Teotihuacan. The pyramid is 75 metres tall and there are 248 stairs which are large and steep. So be careful to not lose your balance here. To the right of the pyramid is the Pyramid of the Moon at least half a kilometre away. You get amazing views of the Pyramid of the Moon from this vantage point. Pyramid of the Sun. Photography by Supriya A.N. The Pyramid of the Moon is at the far end of the Avenue of the Dead. Visitors are allowed to climb only midway and this pyramid is not as high as the Pyramid of the Sun. Believe me, I was exhausted at this point. If you think you still have the energy, go for it, the climb does feel victorious. Pyramid of the Moon. Photography by Supriya A.N. 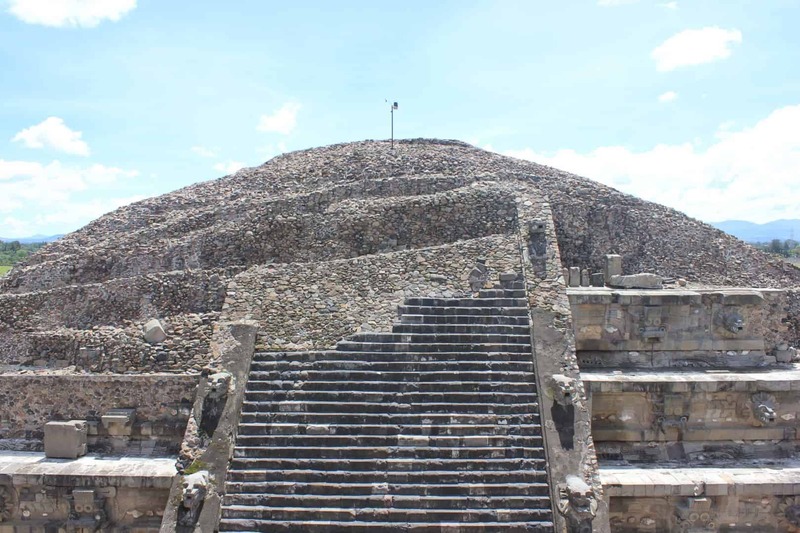 Once you descend from the Pyramid of the Moon, go to the Palace of Quetzlpapalotl. The main entrance faces the Avenue of the Dead and is southwest of the Pyramid of the Moon. It was built around 450 to 500 AD. This is a courtyard made of stones and each pillar has colourful motifs depicting birds. This palace may have been built for ceremonial purposes or as a meeting house for people or for a new emperor. Once you climb the Pyramid of the Sun all the way to the top, you will start feeling exhausted. The stairs are very high and the climb is steep. Therefore, eat well before you embark on this journey and keep energy snacks or dry fruits handy to munch on, while you are here. The place is vast without a hint of a single tree so there is absolutely no shade except at shops where they sell water and snacks. Obviously, the place is full of exhausted and sweaty travellers escaping the sun. You will be even more exhausted at the end of this trip and craving for lunch. 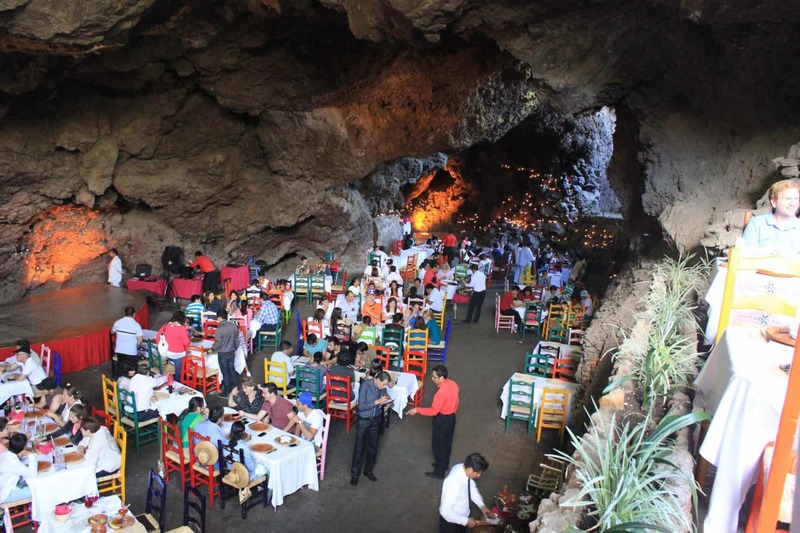 Head to La Gruta, which is a restaurant in a natural cave. The waiting lines are long but it is worth it. The food is priced on the higher side but the food is very tasty. The restaurant organizes traditional dance performances akin to those from the Aztec days on a stage and it’s a visual delight. Try nopal based dishes if you like. Nopal is the pad of the prickly cactus which grows commonly in Mexico. This cactus is also seen on the Mexican National Flag. If you are light on the budget, then there are a lot of options at Gate 2 (across from Pyramid of the Sun). La Gruta Restaurant inside a cave. Photography by Supriya A.N. Wear light clothes to keep yourself airy. Wear a cap or carry an umbrella to keep the direct heat of the glaring sun at bay. It is very important to apply sunscreen as you are under the sun throughout the time you are exploring Teotihuacan. Please keep yourself well hydrated at all times in Teotihuacan. Carry portable drinking water. The Teotihuacan complex is a huge site, 2.5 km long and the pyramids and placed at a distance. There is a lot of walking involved. Hence wear very comfortable shoes. There are a lot of fun things to do in Teotihuacan besides site seeing. Taking a hot air balloon ride and attending the Spring equinox festival are two of them. The hot air balloon ride over Teotihuacan will ensure that you will get fantastic panoramic views of the pyramids. Floating over the gigantic pyramids with a lovely view of the layout is a lifetime experience. Now let me tell you about the Spring equinox Festival. It is organized at Teotihuacan during the first equinox of every year between 20th and 21st of March. Spring Equinox is that time of March when the earth witnesses a day with the same length of day and night. Thousands of people participate in this event where they are dressed in white clothes and a red scarf. The ritual includes praying to the Sun God where people climb the Pyramid of the Sun. They pray for good health and positive energy. They stretch their arms facing the sun in the morning facing east. A lot of people arrive early in the morning to witness the beautiful sunrise over the Apan Mountains. Imagine yourself in a sea of white-clad people praying in such devotion singing and chanting traditional songs. They burn incense sticks and dance to the beats of the drum. A place which looks like a ruin throughout the year has a festive look during Spring Equinox. This festival provides a sneak peek into the beliefs of the natives who participate. While Mexico is famous for its beaches, city life and cuisine, this festival provides a unique window to witness the spiritual side of the Mexicans. 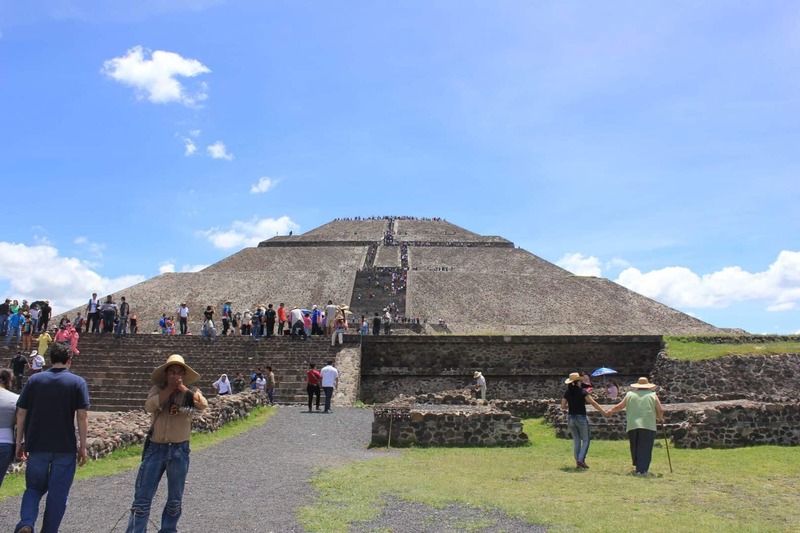 A lot of travellers miss out on really good customized Teotihuacan tours just because they are not aware. You should no be missing out on the fun. Also, the tours not only provide variety as far as the travel experience is concerned but will prove to be budget friendly. Teotihuacan was a thriving Mesoamerican city built between the 1st and 7th centuries A.D. It hosted around 120,000 people in an area close to 20 sq. kms. What we see today at Teotihuacan is what remains of this ancient city but what lies beneath the ground, hidden from plain sight are residential complexes. Why was such a thriving city which has shown evidence of a thriving lifestyle of people living in large residential complexes abandoned? Though there is no conclusive evidence, it is said that there could have been an unforgiving drought leading to a famine which compelled people to abandon Teotihuacan or an internal revolt or unknown invaders who razed down the city. Whatever it is, Teotihuacan is a great place to visit to walk through the pages of history. Visitors climbing the Sun Pyramid. Photography by Supriya A.N. I hope that all the above Teotihuacan travel tips will enrich your trip. Also, provides all the necessary details for a hassle-free visit. 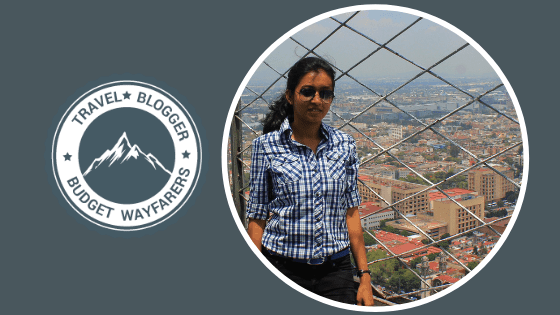 Supriya hails from the garden city of Bangalore in southern India and is always on the lookout for fun experiences across the globe. After scuba diving in the Mediterranean, counted shooting stars in the Sahara, flying in a helicopter over Barcelona, she now aims at horse riding in the Mongolian steppe, pet whales off the coast of Baja California and more. She narrates her travel experiences on her travel blog called Inking Miles. She loves salad over pizza, non-fiction over fantasy, movies over sitcoms. She constantly flips pages of travel books, hugely inspired by Michael Palin and Pico Iyer. She is also keen on the arduous journey the snow geese make every year from the Canadian Arctic to the Gulf of Mexico every winter. 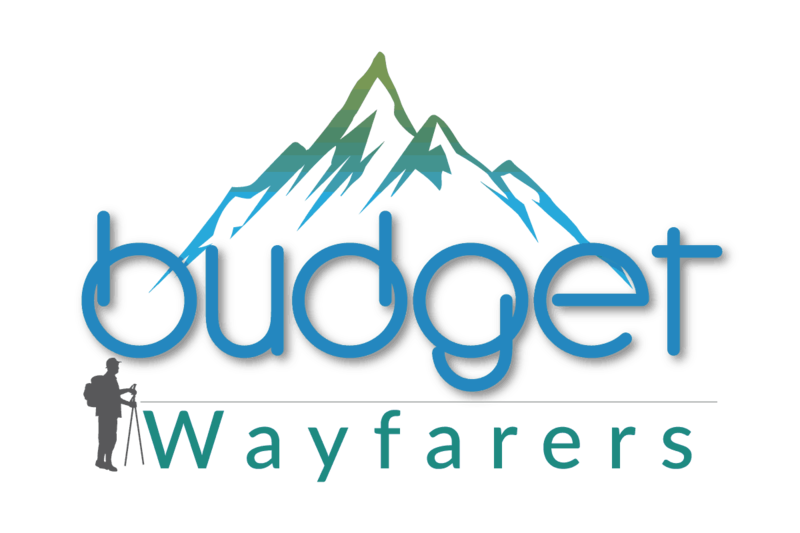 THIS POST ENTITLED, “Travel Tips for a First Time Visitor to Teotihuacan and its Pyramids” IS AN EXCLUSIVE PROPERTY OF BUDGET WAYFARERS. ANY INDIVIDUAL OR ASSOCIATION INDULGING IN PLAGIARISM WILL BE DEALT WITH STRICTLY. IF YOU WANT TO USE INFORMATION FROM THE ARTICLE ABOVE, KINDLY QUOTE THE SOURCE.